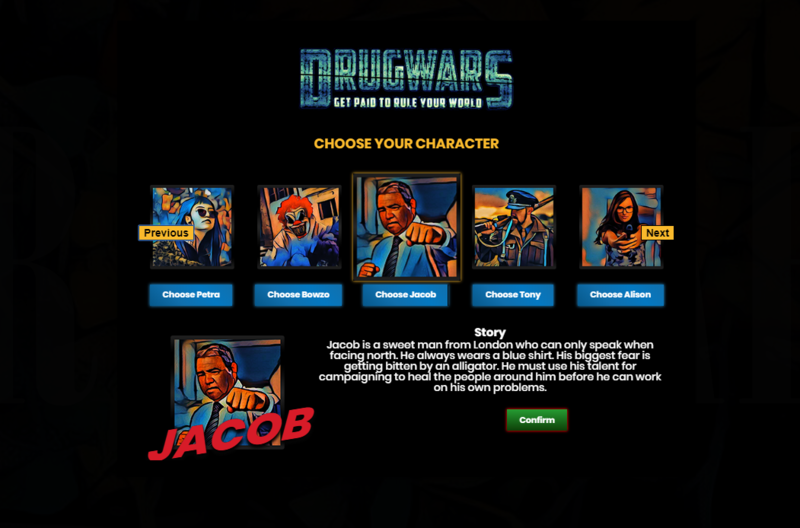 Have you played DrugWars yet? - New game dapp on Steem! A few hours ago a new game was released in Steem, Created by Funditions and Ongame's. This game is DrugWars, a Rol and Strategy game in real time on the Steem Blockchain. So, have you played DrugWars yet? How do I start playing DrugWars? It's simple, all you have to do is go to the DrugWars website, start section with SteemConnect and you're ready to start playing. when you log in the first time you get an opening balance that allows you to update some income streams such as drug production, arms production and alcohol. If you want to know more about DrugWars you can visit its official launch announcement. I'll play it right now.